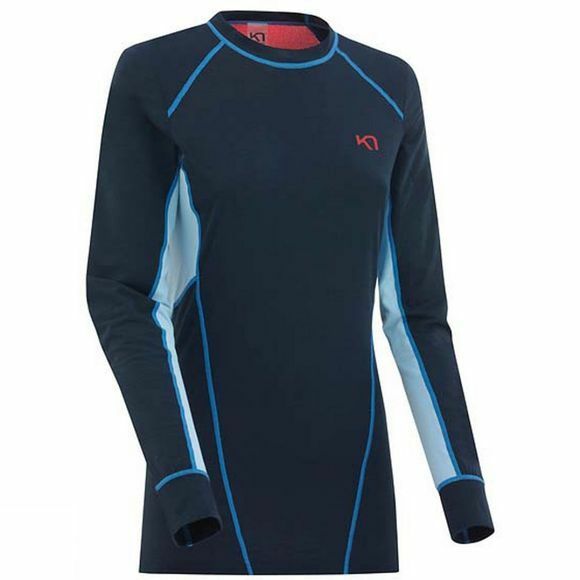 The Womens Svala Long Sleeve Top from Kari Traa is sleek and sporty, the Kari Traa Svala LS is an award winning base layer engineered for higher-energy activities in the cold. Quick drying stretch fabric from a unique mixture of DriRelease Polyester and fine wool provides warmth and breathes well, so you never overheat. The jersey knit is soft on the skin and a slim fit cut is made for easy layering.